Formed in 2013, People Who Could Fly is an indie pop band based in Phoenix, Arizona. 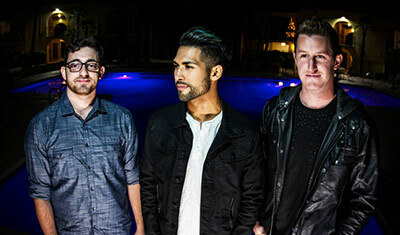 The group’s style draws influence from acts such as Walk the Moon, The 1975, Cage the Elephant and Two Door Cinema Club. People Who Could Fly has performed with national acts including Rick Springfield, Howard Jones, Roger Clyne and Reel Big Fish. The band also provided entertainment for the Arizona Cardinals games in 2016. Their album “Neon Electric” was produced by Grammy-winner Robb Vallier, who has also produced albums for Gin Blossoms, Foo Fighters, and Miranda Lambert. Don’t miss this exciting up-and-coming group destined for greatness!